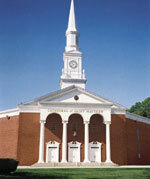 We would be honored to have you participate in one of our ministries at the Cathedral of Saint Matthew. If you would like to inquire further, please contact 281-820-1819. Provides and directs individuals who will assist the priests during Mass and other liturgical services. Provides support to the church for the altar, vestments and other essential items for celebration of the Mass. Assists the priests in the distribution of the Eucharist during Mass and other liturgical services. Proclaims the Word of God during the Mass and other liturgical services. Provides the music for all Masses and other liturgical services. Provides ushering services at all Masses and other liturgical services. Provides assistance to those making final arrangements for loved ones and provides support through their loss. Takes the Eucharist to and visits with the hospitalized and home bound. Provides counseling for those who are in a marriage relationship. Provides assistance to needy individuals and families.